Medical and health care services have always been declared as one of the basic necessities to be provided for the people. With so many having diseases and ailments that disable them from normal lives, it seems only proper to have the best medical plans. Netcare Medical Aid is a prominent name in the industry, and it comes with the benefit of ensuring availability of the best medical services for their members. 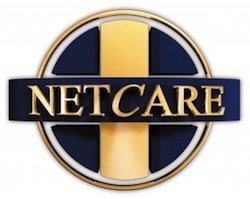 Typically, the plans of the Netcare products are divided into the insured portion and the Member Savings Account, which is considered as a compulsory part of the product. It is noted that one of the more prominent parts of the Netcare Medical Aid product is the insured portion, which is the coverage of several expenses for the member-patient. Technically, one of the first things that are covered in the product plan is the comprehensive hospitalisation package, which is often subject to pre-authorisation. Other coverage of the pre-insured portion includes radiology tests, chemotherapy, dentistry, surgical applications, pathology, and others. These are generally the most basic-in-hospital benefits plus a few added bonuses to the entire package. The second part of the general package offering of Netcare Medical Aid is their Medical Savings Account. This is a part of the overall product that is a necessity, and generally acts as the support system for day-to-day expenses outside of the hospital. The coverage of the MSA includes practitioner expenses, optical services, psychological expenses, and other prescribed medication. Plenty of South African companies for the healthcare aid system actually recommend the use of the MSA as it enables the patient to be well-covered outside of the hospital. Among the most expensive health benefits that are gained from the medical aid systems, it would be the hospitalisation that will take the top spot. Thus, the Netcare Medical Aid system aims to develop the perfect benefit that fits the needs of the public. Emergency care seems to be the foremost reason why so many want to have the ideal medical aid system. However, in cases of elective treatments and surgeries, it is highly needed to have a pre-authorisation letter that permits the member for admission. It is crucial that at least 72 hours is presented prior to the admission. Among the most important details that must be presented to the company for approval is the Netcare membership numbers, the name and place of the medical practitioner who required the admission, date, type of process that must be undergone, and an expected time frame for the admission. The need for such pre-authorisation is often crucial to the overall process to ensure the treatment is considered as a necessity. Furthermore, the LOA or Letter of Authorisation is one of the needed requirements before a patient is admitted to a private hospital. Any failure on the part of the patient to adhere to the stated rules of pre-authorisation disqualifies him from the benefits. Emergency cases have to be reported to Netcare within 72 hours.